DEEWR has released an information sheet about the NQF assessment process including the rough order of assessment. The first services to be assessed will be LDCs, OOSH services and FDC schemes who are not yet accredited or who were due for accreditation in 2012. All existing services will be given at least four months at the beginning of next year to develop and submit their Quality Improvement Plan (QIP). During this time, no assessment visits will occur. The first assessment visits to services are expected to commence in mid June 2012. The assessment visit will occur six weeks after submission of the QIP. The draft assessment and rating will be provided to the service three weeks later. Services will have 10 days to provide feedback. When the service has received their final rating they have 14 days to appeal. All services will be scheduled for an assessment during 2012-2014. 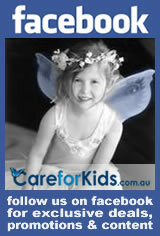 If you'd like to road test the CareforKids.com.au parent rating system before it goes live click here. Any comment or suggestions on how the system looks and operates would be greatly appreciated. The Australian Government has announced one-off grants of $5000 to help long day care centres in disadvantaged areas meet the requirements of the National Quality Agenda for Early Childhood Education and Care. Around 1000 long day care centres Australia's most disadvantaged areas will receive the grants which will be available during 2011-2012 to help services make quality improvement in advance of the transition to the National Quality Framework. engage additional professional advice or acquire additional equipment. Eligible long day care services will be contacted by the Department of Education, Employment and Workplace Relations over the coming weeks and an offer of funding will be made. For more information and to find out if your centre is eligible to receive a grant. In a proudly multicultural society such as our own it is important that child care providers have the resources, skills and knowledge necessary to help children from culturally and linguistically diverse backgrounds, including Indigenous, settle into a care environment. Ensuring your centre is equipped to handle applications from families with culturally and linguistically diverse backgrounds, and designing orientation programs designed to help these children ease into their new care arrangement will help you build a strong relationship with the children and their families. Employing a range of strategies designed to encourage awareness and understanding of cultural and linguistic diversity among the other children and families in your service will further enhance the experience for the new families and will foster a wider appreciation of the value of difference. 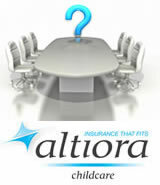 Are Your Committee Members Protected By Insurance? What type of cover do you take out to protect your committee members and do they need to be listed individually on your insurance policy? A Directors' and Officers' policy will cover the committee member/s if they are held legally liable for something they did or didn't do in their role. However, we don't believe that a Director's and Officer's policy offers broad enough cover because it will not cover if the claim is brought against the company itself. This means that if a claim is brought against the company there is no insurance cover to protect the company and the company would have to pay the claim itself. An Association Liability policy resolves this issue by extending the cover to protect the company as well. What sort of claims could you or your company face? Who could claim against you or your company? 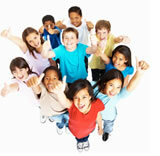 Altiora Childcare has more than 20 year's experience working with the childcare sector. In an attempt to prevent the chaos caused by the sudden collapse of ABC Learning in 2008 the Australian Government has passed the Family Assistance Amendment (Child Care Financial Viability) Bill 2011 which requires larger child care providers to supply information to the Government about their financial viability. Minister for Child Care Kate Ellis said passage of this Bill would give parents more confidence in their child care arrangements. "The collapse of ABC Learning left almost 100,000 families wondering if they still had a local child care centre to rely on and 16,000 child care workers unsure if they had a job to go to," Ms Ellis said. 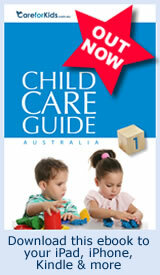 The new laws require larger child care providers to provide more information to the Australian Government, so that their on-going financial viability can be monitored and assessed and the Government now has the power to audit any large child care provider where there are concerns about financial stability. The passage of this Bill also allows for the establishment of an early warning system so that Government can better anticipate and respond to the collapse of a major child care provider in the future. In this month's Child Care People we speak to Leah Kruger and Simone Gee from Ladybug Early Learning Centre and Kindergarten in Kilsyth Victoria. Each child care person we profile will receive a a selection of DVD's for their service courtesy of Roadshow Entertainment. It is widely accepted that encouraging children to look after their teeth from a young age makes them more likely to have good oral hygiene as an adult. With significant numbers of children spending time in care every week, this means child care providers have an increasingly important role in promoting good oral hygiene. According to the Centre for Community Child Health, dental health in children has improved in the last decade, however it is still of concern and an estimated 50 per cent of children aged 6 years have cavities. A recent study of dental decay in young children also showed that approximately 84 per cent of children aged four years start school with clinically detectable untreated decay. Parents have the primary responsibility for teaching their children how to look after their teeth and gums however child care providers have an important role in supporting and enforcing what children learn at home. We've gone crazy for Spring flowers this month. Kids love the bright and cheery nature of flowers and hopefully some of these ideas will help you turn your room into a gorgeous garden of Spring blooms. Flower mask - An easy activity which even the youngest kids will enjoy, use the masks to hold a flower parade! Flower wreaths - This project is a little more complicated and requires several stages. It may be suitable for older kids. Coffee filter flowers - A quick project with a unique outcome for each child. Hand print lilies/daffodils - Daffodils signal the start of Spring and this simple activity results in a lovely seasonal keepsake for parents. Hand print tulips - Another variation on the hand print activity, which will be popular with the very youngest kids. Flower baskets - Paper plates form the basis for this pretty little activity. How flowers grow - This is an educational activity which teaches kids the parts of plants and shows how they grow. Muffin cup flowers - Muffin cups are a cost effective and quick way to make flower shapes. Scissor skills flowers - The youngest children in your service will love this simple activity which uses a paper template, scissors and glue. 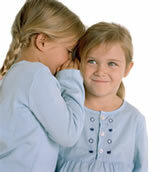 Hello and welcome to the October issue of Child Care News. In our proudly multicultural society there are plenty of opportunities to promote cultural and linguistic diversity in the early childhood sector. Read our article for some fresh approaches to enhancing inclusion in your service. 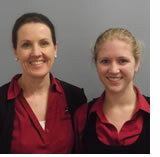 Meet Leah Kruger and Simone Gee from the Ladybug Early Learning Centre and Kindergarten in Kilsyth, Victoria. Leah and Simone were nominated by Michelle Thomas who describes them as living proof of the excellence achievable in child care. Child care service providers can pay a significant role in ensuring kids establish and maintain good oral hygiene habits. Read our article to brush up (ha ha!) on all the latest info. Spring has sprung so we thought you might appreciate some lovely spring craft ideas to get you all in the mood. 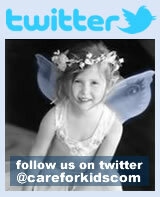 Our craft ideas offer a range of opportunities for kids of all ages and abilities to get involved. Drop me a line if you know someone who deserves to be profiled or if there are any issues you would like us to explore in an upcoming issue. Add our gadget to your iGoogle page and check out how your service looks.